In this charming book, beginning readers learn there’s always something fun to do with your pets! Taking walks with the family dog or petting the family kitten are important steps in teaching caretaking and responsibility to young learners. Even feeding a pet goldfish is a great way to play with the family pet! 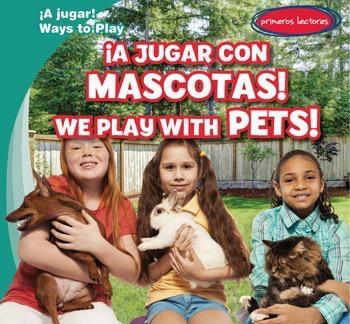 This book, which pairs full-color photographs with accessible, age-appropriate text, shows that every interaction with a pet is a new way to help out and have fun!